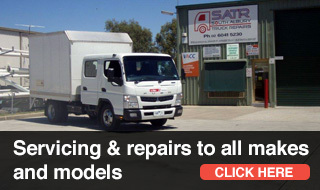 South Albury Truck Repairs is a locally owned Truck repair workshop specialising in repairs service & parts for small to medium Japanese trucks & buses. 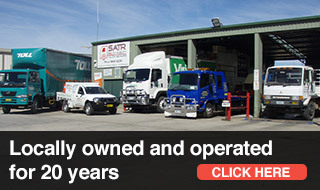 South Albury Truck Repairs began as a one-person operation in rented premises in 1989. Since then we have grown to a team in our much larger premises on Macauley Street. We pride ourselves on personal service and attention to detail. We understand that your truck or bus is essential to the smooth running of your business, and so we offer minimum downtime for all business vehicles. We offer exceptional service on each and every occasion we deal with any customer, because we know that the future of our business depends on every customer going home satisfied. South Albury Truck Repairs offers one-stop diesel servicing and repairs for your truck, transporter or heavy machinery. 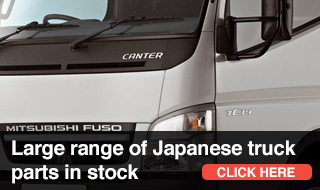 We have a wide range of Japanese parts for sale and fitment, including Mitsubishi Fuso, Hino and Isuzu. Browse our range of parts, view our services, or read about us. Click here for more information or to book your vehicle in for a service.